The stunning Appleby metal side entry gate with lock is a our latest gate design. 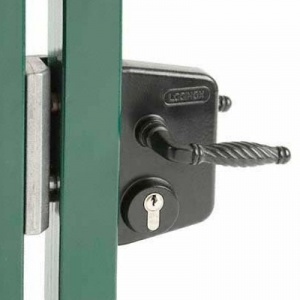 Providing excellent security with our top quality locinox lock. This gate is heavy duty with a modern twist on wrought iron gates. 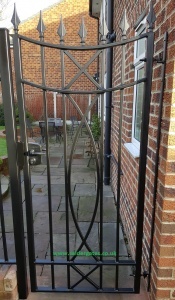 The gate has an inverted top arch and curved 20mm infills. 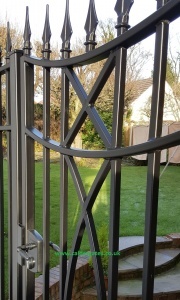 The optional hot dip galvanised and painted finish will prevent rust, making the gate last a lifetime. Free topcoat of semi-gloss black paint! Supplied with adjustable hinges, fixing bolts and locinox lock catch. The Opening Size is the gap you have between your walls or posts, we then work out of the size of the gate. If you need gate posts, remember to allow space for these. Gate height is measured from the bottom of the frame to the highest point on the gate. 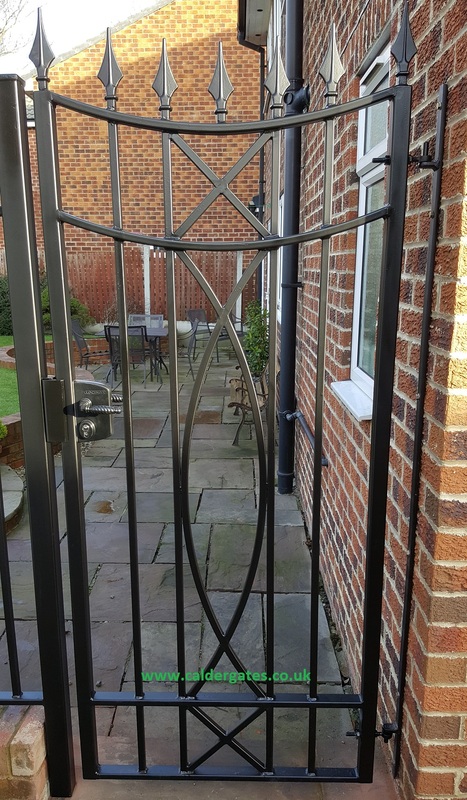 Before you complete your purchase for your gates or railings you need to make sure that you are ordering the correct size. The widths shown are the size between your posts or pillars and NOT the actual size of the gate or railing. To work out the size needed you will need to measure (as accurately as possible) the distance between your posts or pillars and this is the size / width that you will need to order. The heights of the gates and railings shown are the actual height, measured from the bottom to the highest point of the gate or railing. When checking the height of the item needed please do not forget to allow for ground clearance, typically 6cm for gates and 4cm for railings. If you are having any trouble working out the size required please contact us – we are always happy to help. Please place this information in the “messages” section of the checkout. If no message is left, the gate will be made to hang off the left opening inwards. Just painted gates and railings – 5 to 10 working days. Galvanised and painted gates and railings – 20 to 27 working days. For larger items (such as gates and railings) you will be contacted when your item is ready to ship to arrange a delivery date. For smaller items we will not contact you, your item will be shipped as soon as it is ready. © 2019 JA Pattison T/AS Calder Gates.